If you are looking for the perfect inexpensive (make that FREE) gift for your mentee or a way to say thank you to those who mentor new teachers, you have come to the right place. We just posted one brand new and two updated Points to Ponder collections of quotes on the Just ASK YouTube Channel. For starters, treat yourself to the quotes and music on Points to Ponder Volume VI and then send a link to all those you want to know how much they are appreciated. To make it easier for you to do, you can copy and paste the graphic and words below into an email and give yourself a pat on the back for a job well done! A shared reading of either or both of these two tools is sure to promote deep and thoughtful analysis of opportunities seized and opportunities yet to be seized in our promotion of the social and emotional health of our students. Don’t miss out! Join the thousands who have already read one or both of these articles. It doesn’t get any better! Each issue of The Mentoring Memo features a mentoring calendar for the current time of the year. The March calendar is now available. These calendars, excerpted and updated from The 21st Century Mentor’s Handbook, offer suggestions for mentoring actions to support novice teachers and teachers new to the district. When you take a look at them, you will quickly see how useful they are. Be sure to forward them to your mentoring colleagues. Post them or a link to them on your district/school website. And, since the developer has a special education background, there is also a section titled Especially for Special Educators. 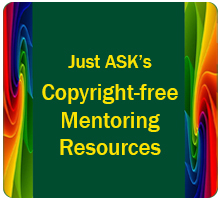 Hundreds More FREE Mentoring Resources!